Papers is the story of undocumented youth and the challenges they face as they turn 18 without legal status. Approximately 65,000 undocumented students graduate every year from high school without “papers.” Currently, there is no path to citizenship for most of these young people. 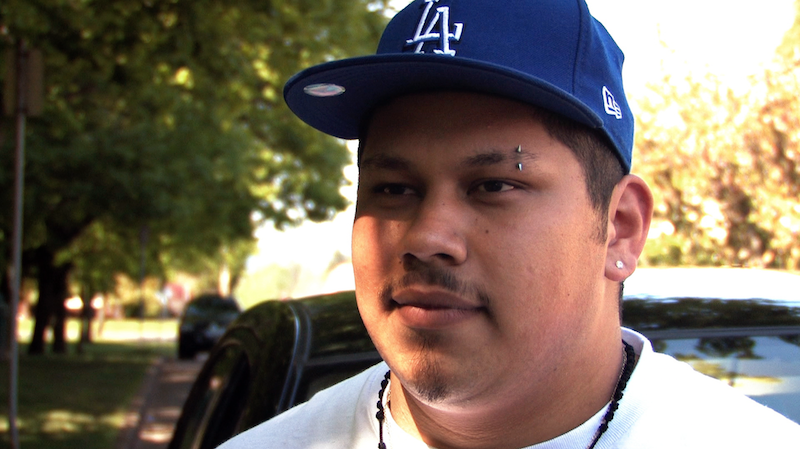 The film premiered in 2009 when very few undocumented young people were public about their immigration status. The five young people featured in this film (Monica, Jorge, Juan Carlos, Simone and Yo Sub) risked arrest, detention and deportation simply for telling the truth about their lives. Their families, hometowns and last names are not revealed because of this concern. The creative and heroic activism of the undocumented immigrant youth movement forced a vote on the DREAM Act in December 2010 where it passed in the House of Representatives but the Senate failed to overcome a filibuster. Intensified undocumented youth activism led to President Obama’s June 15, 2012 Executive Action, Deferred Action for Childhood Arrivals or DACA. The undocumented youth movement continues to advocate for immigration reform with a path to citizenship. Graham Street Productions produced this film in association with El Grupo Juvenil (the "Papers" Youth Crew). These youth producers were actively involved in all aspects of production. The "Papers" Youth Crew founded Momentum Alliance, a youth-led non-profit. Follow "Papers" on Facebook and Twitter! An Educational License is required for all screenings outside of individual or home use. This license allows for an unlimited number of educational use screenings at one location. If a screening is a fundraiser, please see the Fundraiser License, below. 1. Print out and read the Educational Use License, fill in the blanks, sign and submit to us by fax, email or US mail (instructions at top of document). 2. Pay by check or via Paypal with a credit card or Paypal account. 1. Print out and read the License to fundraise or charge admission (per event), fill in the blanks, sign and submit to us by fax, email or U.S. mail (instructions at top of document). Total run time: 2009 version includes subtitles (88 minutes). Updated 2013 version does not include subtitles (55 minutes). Original music by Adrian H. Molina, Dustin Neal, Will Ross, Molina Soleil, Aju, Mannequin Rituals, SOULAJU, Helen Chanthongthip, DJ Icewater, G Koop. Congress Invitation: U.S. Capitol Reception for the Documentary Film "Papers"